Tributes have been paid to former journalist and ombudsman, Michael Mills, who died yesterday. Taoiseach Bertie Ahern described Mr Mills as one of Ireland's foremost journalists and respected public servants. He said the continued respect for the office of Ombudsman was a legacy in which the Mills family could take immense pride. Emily O'Reilly, the current Ombudsman, said Mr Mills laid the groundwork for her office's future growth and success. The Children's Rights Alliance paid tribute, saying Mr Mills gave the Alliance invaluable advice and guidance over a number of years. The National Union of Journalists and the Irish Human Rights Commission have also extended their sympathies to the Mills family. 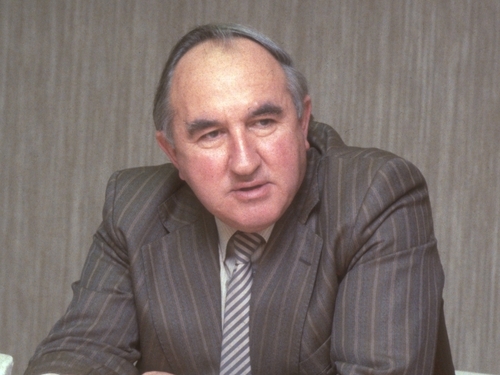 Mr Mills, who was Ireland's first Ombudsman, died after a short illness. He was 80. Mr Mills took up office in 1984 after being appointed as Ireland's first Ombudsman by former Taoiseach Garret FitzGerald. He served two terms before retiring in 1994 at the age of 67. During his ten years as Ombudsman Mr Mills handled and investigated thousands of public complaints about Government departments, local authorities and health boards. Mr Mills grew up in Co Laois and spent a period of time training for the priesthood, before taking a job as a junior reporter with the People newspaper group in Wexford. He worked for many years as a journalist and was political correspondent at the Irish Press for more than 20 years. Mr Mills is survived by his wife Bríd and their eight children.